On a street carved out of dense woods, homes of distinction are slowly taking shape near Lake Simcoe. 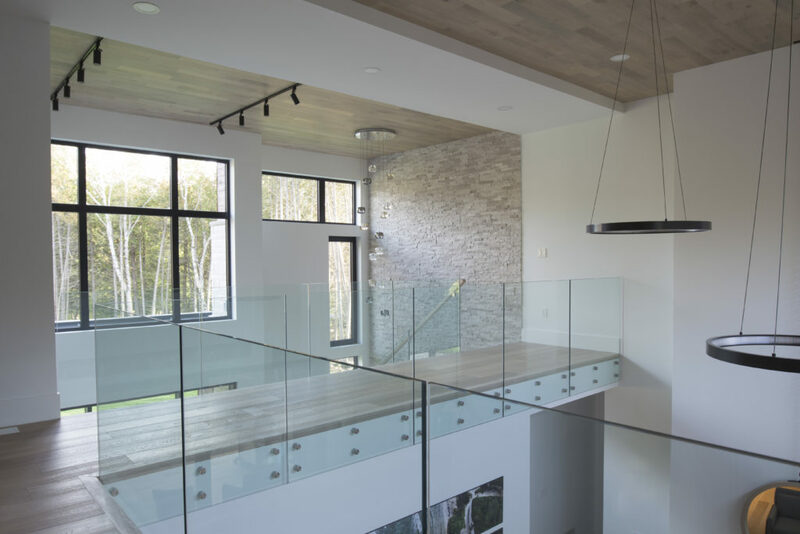 The Forest View Residence is a 3200 sqft., 3 bedroom modern home that focuses on views of nature through its contemporary windows & doors while blending clean lines with traditional materials. Madison Taylor’s architectural team designs a home from the inside out. “We start with Form and Function. The key is to identify the most important spaces in the eyes of the homeowners and work from there; we evolve the design around how the homeowner wants to live.” Madison Taylor recognizes that large windows and doors draw in nature’s beauty while providing a sense of comfort with natural light and expansive views. 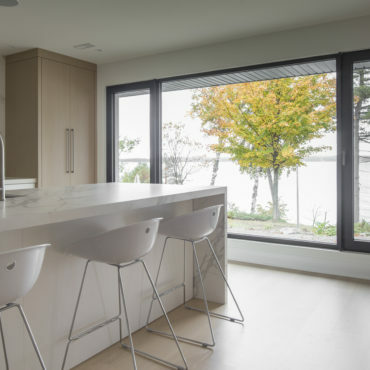 Numerous windows throughout the home enhance the modern exterior styling while contributing to the wide opening feeling throughout the inside. You feel like you are floating on air when passing through the second story glass catwalk which is surrounded by windows on both sides. Tilt and Turn windows in bedroom, dining area, laundry room and upstairs bedrooms maximize air flow. Because the windows open two ways, they maximize view, and privacy while making cleaning easy. The curtain wall assembly that the surrounds the main entry door provides a welcome inviting feeling while highlighting the doors natural connection with the exterior surroundings. Although black is the only color, Designer Madison Taylor would consider; the homeowners love the warmth of the window & door frames as they meld into the surrounding architecture. “Working with Big Glass Openings is always a pleasure. 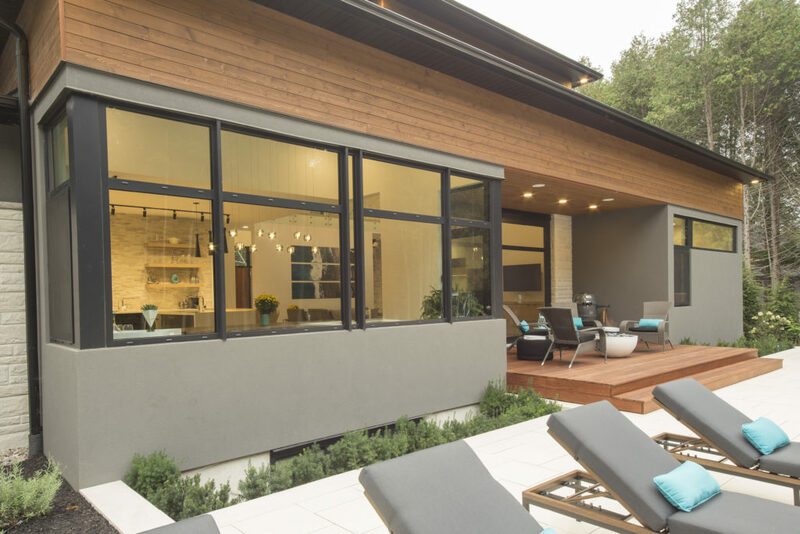 They feature beautiful products that go way beyond what normal window manufacturers provide. Their expansive showrooms with a wide range displays enhances the customer experience. A partnership with Big Glass Openings means, I can offer clients a lot more options.” Says Madison Taylor.